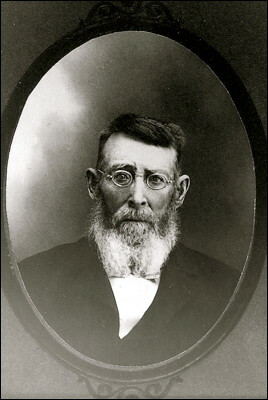 This is my great-great grandfather Charles Hicks Doty. He was born on February 10, 1825 in South Wallingford Vermont. He married Elizabeth Susan Clough in Lawrence, Massachusetts in 1852 and they had four children. He died on September 16, 1918 in Moundridge, Kansas.